A lookback over the past 4 weeks on and off the mailing list with Simon Roberts and Robert Hazelby. 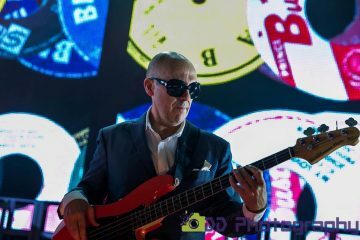 Words of Wisdom from Madness bassist, Mark Beford. You may have noticed that the lyrics to the Three Pyramids Club track, `Invisible Man`, are well, invisible. Fear not, thanks to the time and patience of the elusive Madsource the lyrics are now available for your viewing pleasure. Remember all the mails you sent to the MML listing your favourite songs? Well, Gisli Jonsson has been hard at work calculating and compiling the results, and here they are. 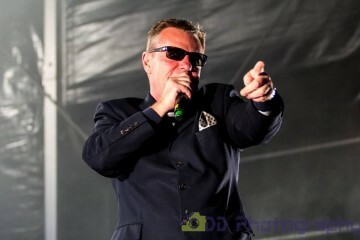 Want to sit and sing in the audience of Suggs’ top Channel 5 TV show “Night Fever”? Well fear not. Chris Byrne is here with details showing you just how easy it is to get hold of tickets. We’ll be looking out for you on the telly! Pete Gardner has come up with a rather novel idea in which may help to get Mandness some recognition. Puzzled, baffled, interested? Then read on! After a long break, Adrian Burns is back to work on his top Madness website – “Madstock Online”. Amongst many updates, Adrian has included some new Real Video and has scanned in his collection of Madstock IV pictures so you can all see what went on. Ashley Moore is here once again with a few bits and pieces of Madness related gossip. First it made Song of the Week, and now, thanks to Vince Foley we have the lyrics to this nutty track! Perhaps Chris Carter-Pegg took up Chris Byrne’s advice when it came to ordering some “Night Fever” tickets. Well, however he got hold of them here’s his review of the show from the eyes of the audience. 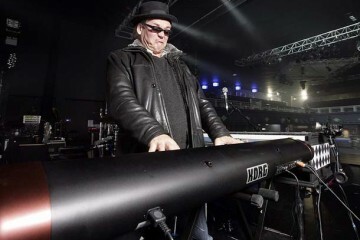 Pete Bament gives us the lowdown on a recent Badness gig his went to. Sounds like an excellent evening was had by all! October 24th may be seen as a landmark day. Jo Reeves and Stephie Figgis are the ones to explain. 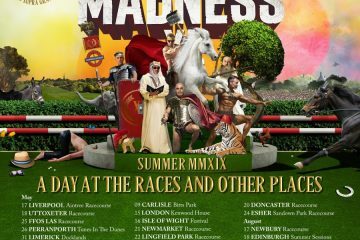 Want to see a Madness album get a complete slating from list co-maintainer, Simon Roberts? Then read on! Most people when they have five minutes to spare at work sit around and chat. Kevin Griffin goes one better and phones up Suggs instead!!! Who really knows what’s going to happen in the next four weeks? Here’s where we discuss a few possibilities and have a general `rounding off` waffle before we finish. It only seems like two minutes since I was putting together the intro text for the last Madpost when here I am again sat up into the wee hours doing it for the November issue. Well, what a month October was. The list seemed to have died down after the excitement from the release of `The Three Pyramids Club` had reached all corners of the nutty globe and I have to admit that I was expecting the list to enter a slight quiet period with a few postings here and there. However, this was not to be. With new subscribers being added to the list and eager to have their questions answered the list continued to buzz with life. Postings are actually on the up so give yourself a pat on the back if you’ve contributed to this. You may remember me telling everyone to have a look at the mailing list photo album which can be found on the MML website (www.jabba.demon.co.uk/madness/) and everyone who went there complained that nothing worked. I’d then pay a follow-up visit and all would be well and I’d then announce to the list that all was fixed only for the problem to rear its ugly head again. Thankfully, by the time you read this the MML website should be in 100% working order! Of course, I can’t guarantee that we’ve managed to cover everything, so if you encounter any problems during your MML website visits, please let Simon or myself know and we’ll get it sorted ASAP. I must congratulate Jo Reeves on the setting up of the (hopefully) weekly “ICQ Virtual Madmeet” which by the time you read this should have happened twice it not three times. I had a few problems connecting but that was a problem with my ISP and not Jo and her planning! To find out what went on go and dig out the article by Jo Reevess and Stephie Figgis elsewhere in this issue. 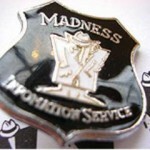 I’m sure many of you have ordered from the excellent Madness merchandise archive – “PLR Madmail” over the years and many of you will have received the latest catalogue listing what they currently have in stock. PLR also deliver to the US so you Stateside Maddies have no excuse for not completing your collections. Click on the URL and get sifting through that stock! First some bad news. Some sections of the MML homepage may not be available from Tuesday, (and there was me saying things would be back to normal! – ROB) as my work Internet Provider has sold out to U-net! and because I don’t pay, and have 100Mb worth of web-space they are pulling the plug on me! Until I find a new home for the pics etc.. you’ll find the pages missing – just don’t panic! If you didn’t know the MML is now sort of working with the breakaway mailing list the “Total Madness Mailing List”. Most of the people on the other TMML post to this list as well, and there’s, also the ICQ meets which are organised by TMML. Rob and myself are working with Steve and Al in an attempt to make things better. Unification of the lists is not on the agenda at the moment, but we are trying to come some kind of understanding. For all you people interested in stats, here’s the lowdown for October 1998.. The number of postings to the list last month was a massive 332 (with 19 bounces!). Well done to all who posted – keep it up!! We’ve had 37 new subscriptions this month which makes it an all time record, and with only 2 people unsubscribing the total number of Maddies on the list is at an all time high!! For all ye olde users (subscribed before June 1998), please note that the Mailing List is on a new server and the mailing address is now madness@gweep.bc.ca . You can still use the old address, but it is recommended that you update your address books to the new address. And with that, lets get on with this month’s Madpost. Well, it certainly sounds `interesting` and it gives us all something to look out for. No prizes for being the first to `notice` something from next year but I’m sure we’ll all be appreciative if you’d let us know. Here are the lyrics to Invisible Man, which incidentally gets my vote as *BEST* track on 3PC. Also have you noticed how it ends with horns similar to ‘I Am’ ? Pretty close to The Sun And The Rain lyric structure!! I am now recovered from my Oslo trip and I have compiled the votes on favorites song on TCP. And the results are….. The results were obtained by giving the song nominated #1 – 3 points, #2 -2points, #3 – 1 point. More precise results are at the end of this post. The reason that “So tired” and “Straight Banana” got half points is that Iain couldn’t decide which one was the best so I gave them both 2,5 points and the song he placed in 2nd place I gave 1 point. So I think it should be obvious that the next single should be “So Tired” or what do you think? Even though I have compiled this list please keep posting you votes, especially if you live in the middle of the Sahara, outer Mongolia or Australia and have not yet received you copy of TCP :). I can compile the votes again if there are any more yet to come. PS. I didn’t find “Mad not Mad” in Oslo so I went MAD and had great fun :). I’m sure many of you have spent the early part of a Saturday evening sat glued to the TV set watching the Suggster dish out his words of wisdom on the karaokee show, “Night Fever” which is currently running it third series of 25 shows on Channel Five here in the UK. Until now the majority of you have only been able to watch the proceedings from the comfort of your own armchair, but what if you had the opportunity to see the show live from the television centre where it’s filmed?! Well, now is you chance. Here’s Chris Byrne with the details on how you can get your hands on some “Night Fever” tickets…. Including a stamped addressed envelope and a daytime telephone number. Well, it’s a bit of a way for most of us, but if a few of you manage to get down there and get in, give us all a wave won’t you?! 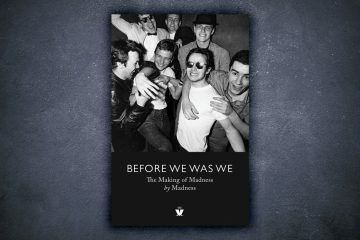 Is anyone interested in trying to get a Madness album in the top 100 of all time? Music Week/Dotmusic run a chart every week where you e-mail in your 5 favourite albums of all time. The votes are collated and the chart updated every Friday. Strangely enough, I voted for “Keep Moving” as my favourite. Firstly, please accept my sincere apologies for the lack of updates to the site recently. A heavy work-load has kept me in the office and away from the ‘net for a while now, but things are now (I hope) back to normal. Also, many thanks for your continued support and email, it really is very much appreciated! So far I have managed only to update the RealVideo section, with installment no.4 of the “Take It Or Leave It” Series. Please note that, due to a change at my ISP (Demon Internet) I can no longer “stream” Real Video’s from the web site. Instead, you can now download a zip file to play back locally on your PC. More updates will follow throughout the week, and I hope to add at least one totally new section (probably some pics taken at the recent Madstock IV madmeet) within this time. I also hope to completely re-vamp the site and give it a fresh, new look…this will take quite a while however, but I hope to have the new-look site up and running by Christmas (ish)! And finally, a big HELLO and THANKYOU to all the recent “new members” who have registered with Madstock Online…I hope you enjoy browsing the site as much as I do running it! Well, what can I say? It’s a Madpost and you can be pretty sure that Ashley Moore is going to make an appearance somewhere along the way. 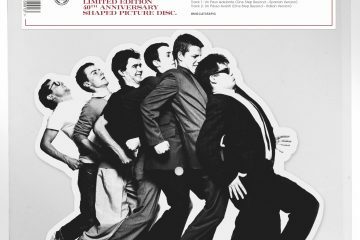 in this months “Q” magazine there is a couple of Madness related titbits. First in a review of the new “Beautiful South” album the reviewer suggests that if you like it then to try “Mad not Mad” by “Madness” and also “Woodface” by “Crowded House”. I have always rated the “Beautiful South” and Paul Heaton’s work, the “Housemartins” were IMHO an even better band than the “Beautiful South”. This album may well be worth checking out. Its good to know that “Mad not Mad” which some critics regard as some of Madness’ weakest material is compared to two such high quality artists as “Beautiful South” and “Crowded House”. It may be interesting for some of you to know that Clive Langer and Alan Winstanley have worked on some of “Republica`s” new material..
During the course of last month we had a slight departure from the usual run of the mill `Song of the Week` as Elizabeth Walker decided to do away with convention and nominate a Crunch song instead – `Magic Carpet` which was actually worked on partly by Suggs. Crunch were set up by Lee Thompson and Chris Foreman in the early 90’s and were originally called `The Nutty Boys`, however, with the release of Divine Madness and the whole Madness revival back in 1992 the band were forced to change their name to Crunch to avoid confusion with the real nutty boys – Madness. If you’re not familiar with the song or you’re having difficulty in understanding some of the lyrics, list subscriber Vince Foley has kindly typed up the lyrics for us. Many thanks to Stephie Figgis who also uploaded the lyrics. 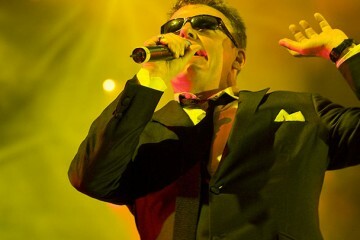 Went to Suggs’ Night Fever show the other week as a bit of a quarter century birthday bash, and it was surprisingly enjoyable. Went to the recording with a group of Madness fan mates. It was filmed at 5.30pm on a Sunday, so naturally we were in the Dublin Castle for a few hours beforehand ‘preparing ourselves’, followed by a Camden High Street curry! On arrival at the studios we were provided with even more alcohol and one of my mates was picked to sing in the audience Karaoke contest on the stage – highly amusing. The show, which hasn’t yet been screened, starred Annabel Croft and of course Barry from Eastenders. During quiet bits of the recording we got the Suggs man to sign our T shirts and a few sleeves we had brought along. Before long everyone got the same idea and for the final song when Suggs was supposed to be dancing on his desk, there was a whole queue of people wanting things signed. Anyway, I reckon going to one of these recordings would be a great excuse for another Madmeet, it would be excellent to have a whole bank of Madness fans wearing appropriate T Shirts / fezes etc either side of the two panels. I think old Suggsy would appreciate it even if the production team don’t! Thank you very much to whoever said that Badness should not be missed. I had been felling very bad all weekend, yet I somehow felt a lot better when it came to leaving home to see an at the time unknown quantity going through some Madness songs. We (me, quite a serious Maddie, so I’d like to think, and my friend, well, he owns Divine Madness, but left it in Durham when he came away to University) arrived at Brannigans at around 7.50 pm fully expecting to pay to get in, yet it was free. We weren’t complaining. Little did we know before we left my house, that the Leeds Rhinos vs. The Saints would be on. so we sat through the rest of the match watching the Leeds fans rejoicing as the Saints got trounced. Match finished at 8.35pm, and so we spent the rest of the time trying to get a good spot at the front – not too difficult, and then laughing lots at Duran Duran on VH1. Badness, after a lot of feedback (ow!) finally came on at exactly 9.03pm, and started off with Night Boat to Cairo. I was immediately off and dancing with my friend, and no doubt many other people in the place giving me strange looks as I danced virtually on the spot. (If anyone has ever been to Brannigans, they will understand there is a dance floor directly in front of the stage, upon which people with drinks are not allowed, so the floor was empty.) Well, I wasn’t going to venture out into the middle of the floor by myself. There were a few people who came and went, but no-one with any real staying power. I thought as the band continued through the night, that they would start to win the crowd over, but this didn’t seem to happen, which I was quite disappointed by. In the course of the evening they went through the whole of the early Madness collection up to Shut Up in random order, and as the night went on, I ventured further and further on to the dance floor (until eventually I took up the whole dance floor) doing the nuttiest dance I could muster in a pair of tightish jeans, and of course wearing my Madstock 4 shirt. I also loudly applauded every song after they finished. Apart from the Madness, they also did the Specials, and a couple from Bad Manners, but as their name suggests they mainly did Madness stuff, which was fine by me, as I don’t know any of the Specials or Bad Manners’ stuff. Anyway the time came when the band had to go, and it took the DJ to get the crowd to ask for an encore, which they did, and performed One Step Beyond. It was very welcome to hear some Madness being played live, and they did it with class too: the lead singer had a newspaper print suit on, the guitarist (who incidentally is going off to join the final leg of the Ian Dury farewell tour) was wearing the Red Dockers (a pair of which I nearly bought in a sale the day before if they had had them in my size) and the drummer had a pair of braces on. All in all they really are not to be missed, although, no disrespect to them, they are obviously not a patch on the real thing at all. They also moved about the stage well, and they had one of the band members whose sole job, it seemed, was to dance around – and I of course got dancing with him. After they went off stage, I went to the loo, and got a new drink, and then went off to scour the bar area in search of band members trying to get a drink before last orders. Upon finding them I asked where the lead singer got his rather natty (nutty?) suit from. He said that he had it made from white cloth, and had the print added afterwards, and that it hadn’t actually cost that much either. I also informed him of the MML, and he said he’d try and join when he gets his new computer set up, plus he’d like to get a Badness web page organised. I said that Badness had got a good review from some of the members on the list, and that’s why I was there, and I also managed to procure the phone number to find out about future gigs. I’d give the band 8/10 for Madness imitation, and overall, for a night out I’d give it 9/10, although this would have been higher if they’d had a more responsive audience. Friday October 24th was what some may see as a landmark day in the history of all things nutty. 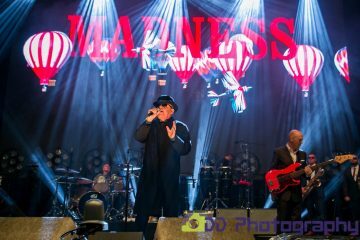 No, Madness didn’t release their overdue album, and no, Crunch didn’t offer to play a small gig in someone’s living room for the price of a 4-pack and a packet of crisps. Friday October 24th will be remembered for the first ever ICQ Virtual Madmeet which was painstakingly organised by Jo Reeves and statistically analysed by Stephie Figgis. A few people including myself had server problems so were unable to connect or managed to connect for short periods, however, when I did manage to connect the chat was thick and fast whilst the turnout was very impressive. Hopefully interest in this side of things will increase over the coming months and Friday evenings (depending where in the world you’re located of course) could be a regular slot in the average nutty person’s diary. Raspberry of the evening/morning went to Jordan who mentioned at least 10 times that he was going to Camden the next day, and would anyone like to join him?? Thanks to everyone that joined in (and those that tried!!) … *see* you all soon! Hi Jo and you Madfans. What a great turnout today! Cheers and beers to Jo for setting it up. My apologies if I’ve left anyone out. My server cut me off (it was the middle of the business day here), and I had trouble reconnecting. Let’s do it again real soon (We can further discuss Suggs’ buns…). For those of you who still haven’t signed up, head to Al’s “Don’t Quote Me on That” website and download ICQ! Well its not often I give a Madness album such a flaming review, but this one, is, to say, in a word: Shite. 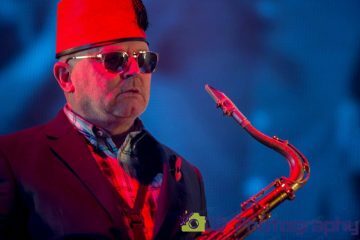 The album is ‘A tribute to Madness’, a collection of Madness tracks seemingly sung by Swedish Punk/ska groups. I suppose this track is the best cover, re-hashed in places. The singing and lack of sax make let it down. More ska sounding than the original, In the City. Good singing, lacking enthusiasm, lacking everywhere, badly composed.. crap. Dom’s band ‘Slater’ did a cover of this track, I’ve not heard it, but if I could imagine what it would sound like, this would be it!! The tempo sounds like madness in the early days. Loads of guitars, someone beating the drums to death. Ghastly. Well, this must be the best track of the album. It is very well played, the horn playing and tempo of PB’s original make it a pleasure to listen to. No improvisation, good sax solos, but lacking in originality, sounds repetitive after a while. Oh my god!!! What have they done?!!!! Arghhh!! This cover will make you cringe. Beastie Boys meets the Spice Girls. I though the last track was bad!! This is f*cking terrible! It seems they didn’t have a sax player, so they used a 49.99 Bomtempi synth voice from Dixon’s to do the job, sounds terrible. What a bag of f*cking shite. Well the album must get better… nope!! It’s downhill from now on! Right, get a drum kit – hit everything hard as you can, and shout at the top of your voice ‘Father wears his Sunday best’. Should be banned, a total piss take. Not too bad, most Madness sounded track on the album. Very poor singing lets it down. Mexican/Eygption cover of the classic. Whistles, howling, dog barking and things, not in English. arreebah! underah! and all that!! They must on drugs or something. Skanker? Is this ska in Sweden??? Metal version of Mr.Bs all time classic. Great ending!!! I like it!!! The CD is now in my ‘C List’ playing collection in a box at the far side of my bedroom. Dont the buy the album!!! A story from about 1987/1998…. It was very early on in my career and went down the age old route of the telephone marketing operator (you students might be familiar with this holiday bolt-hole). We worked in St Albans contacting businesses throughout the UK asking questions about the MD’s view on sales, projected profits, output, outlook and questions of that ilk. Generally questions about their plans for the future. Not half as boring as you might think and an education in itself. Anyway, some of the naughtiest amongst us were given London to call (twice as difficult because they are so used to being rude on the ‘phone). A colleague of mine (Alison was her name) was on the phone to a Mr McPherson and having a hard time. He was saying things like “Well, that doesn’t apply to us.” and “What does output mean – do you mean volume.” and the classic “I don’t spend much time in the office really.” Alison eventually put the phone down and called Mr McPherson a few names. I recall the phrase “stupid git” although there were a few more choice examples. I don’t know why but I leant over to look at the details of this company that had my colleague Alison so out of character. Mr G McPherson was the “git” MD of Nutty Promotions Limited (I can’t recall exactly which Nutty (….) Ltd it was but it was something similar to this.) I think the address was Old Street or Upper Street but I could be mistaken although that seems to stick in my mind (London N1). Anyway, it took a few seconds but the penny finally dropped and Alison, when told went a very deep red and couldn’t believe how rude she had been to dear old Suggs. I snatched the Dun and Bradstreet sheet with the company name to it and redialled and there you go, straight through to Suggs himself. We had a chat for a good twenty minutes. I started explaining what the previous phone call was about and apologised on Alison’s behalf (with her red-faced permission). He was telling me that things with the band were quiet. We then talked about bits and pieces. If I am honest, I can’t recall much of what we talked about but I do remember a jolly good chat. It was not as if we struggled for anything to talk of and I don’t recall Mr S trying to get me off the phone. And, get this, I didn’t ask for anything from him in the way of freebies (missed opportunity numero uno). We ended the call and I finished the day a little happier. I forgot about it really and don’t recall telling many people. However, the incident was retold to me in astonishing detail a few weeks later at a dismissal meeting with the MD of the company I was working for. He called the incident the last f**k**g straw actually. Right, that about wraps it up for another issue of the mailing list Madpost. Many thanks for everyone who knowingly or unknowingly contributed to this issue. If you’d like to type up a little something for the next issue, please send it to Simon or myself and we’ll do out best at putting it in. 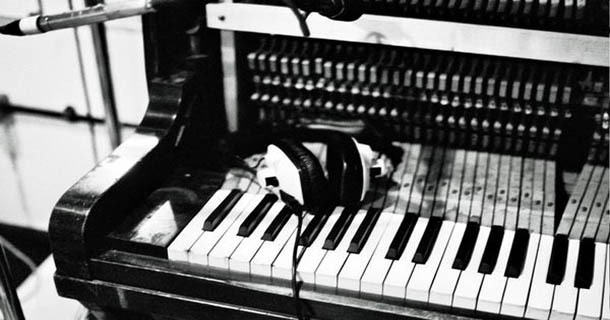 Feel free to send any typed-up articles, gig reviews, memories or just general nutty-related gossip as we would love (as I’m sure the rest of the list would too) hear it. This coming weekend top Madness cover band, `One Step Behind` are playing at the Fleece and Firkin in Bristol. We’ve got a rendezvous with about 15 nutties taking place that night so expect to read some rave reviews of the evening when we all return and have chance to recover. One or two of us will be taking cameras along so we’ll have a selection of photo’s up on the MML site shortly afterwards. By the time the next MP is released we hope to have sorted out our little webspace dilemma with the MML. We are already looking into obtaining some web space from other sources and have one or two back-up strategies so don’t fret!! Other news is that the famous `Hector Walker` has been in touch with us. If you’re confused, listen to `The Business` and all will be revealed. We’re trying to get him to type us up some insider stories. After all, he was with the band until the split so he’s bound to know a few things we don’t. Finally, many thanks to everyone who’s been keeping the mailing list the bustling place it’s been this past month, the quality and quantity of postings has been superb – keep it up! !